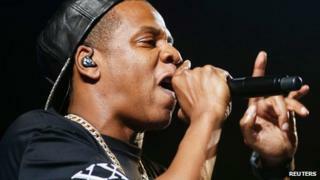 Rapper Jay Z has dominated this year's Grammy nominations, being shortlisted for nine awards. He is in the running in categories including best rap song and best rap album but has missed out on the prestigious album and record of the year for Magna Carta Holy Grail. Justin Timberlake, up for seven awards, also saw his best-selling album of 2013, The 20/20 Experience, snubbed. Mercury prize-winner James Blake has been nominated for best new artist. He is up against fellow Brit Ed Sheeran, rappers Kendrick Lamar and Macklemore & Ryan Lewis and country singer Kasey Musgraves. Album of the Year nominees included Sara Bareilles, Taylor Swift and new artist nominees Kendrick Lamar and Macklemore & Ryan Lewis. Pop music has dominated the song of the year with Pink, Bruno Mars and Katy Perry in the running against teenage newcomer Lorde. The 17-year-old New Zealander is nominated in four categories, mostly for her hit single Royals. There are more British nominations in the shape of Calvin Harris and Florence Welch in the dance recording category. Harris is also nominated in the dance/electronica album category - for his album 18 Months - where he is up against Mercury-nominees Disclosure. David Bowie has a best rock performance nomination while Black Sabbath, also on the comeback trail, have been nominated for best rock album, performance and song. The Grammy awards will be held in Los Angeles on 26 January. The full Grammy nominations list is available on their website.